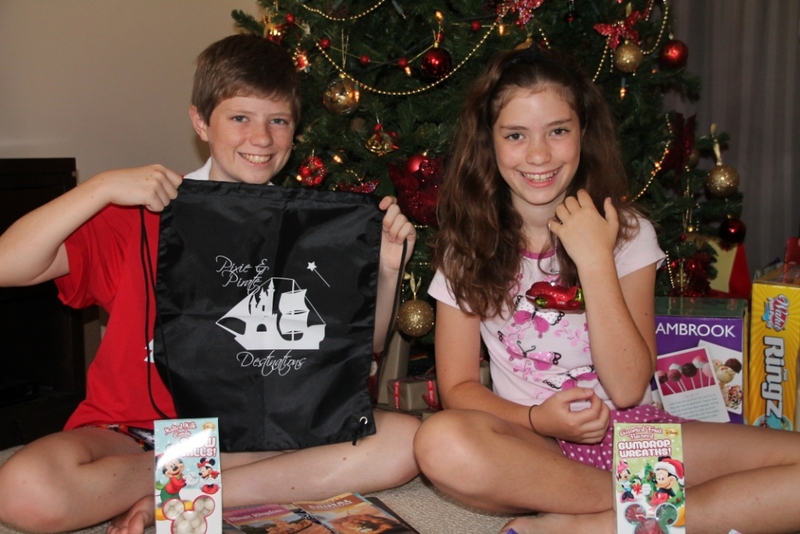 Testimonials - Pixie & Pirate Destinations *|* Wishes become memories. One dream at a time. We will never travel to any location without checking with you first. Our vacation was worth every penny, and your free services are priceless! Thank you for a wonderful experience planning our fun vacation. We could not have done it without you! We were so impressed with the details you had planned out for us. NO stress whatsoever. We would look at the day's plans and we knew exactly what and where to go. Bet you didn't know that someone would be so thrilled by you telling them where to go! We enjoyed working with PAPD to plan our Disney vacation. They were able to find us a great deal because we are Florida residents. They were also able to help us figure out which hotel suited our budget and which ticket choice was best for us. We really enjoyed our vacation and would gladly recommend PAPD to plan a Disney vacation. Our DVP went above and beyond to help us plan our Cruise. She gave us tips that made our first cruise a huge success. We loved it and made many memories to last a lifetime! Lisa Reese always responded to my emails and questions quickly. It was very helpful that she has been to Disney so many times so she could give me her opinion about different things in Disney. She was always friendly and polite. Very easy person to work with to help plan our first Disney trip. Laura B was right on top of deals, changes and goings-on at Disney and she communicated all the information promptly. She returned emails quickly and efficiently, answering all questions. She was great!! Sarah H handled the stress of planning a vacation, where making the best use of your time is essential. She personalized our trip based on my families request and took care of the details! The planning of our highly anticipated trip went smoothly thanks to Laura B. I could never have prepared for my Disney trip without her. Thanks for the fantastic service. From the first night I emailed Lisa Reese, her communication was lightning speed and thorough. I never had to wait for a response and she went above and beyond in explaining what can be a confusing holiday to book. We booked our Disney Vacation only ten days before we traveled so I didn't expect to get into many character meals or to see Princesses or get into the Bibbidy Bobbidy Boutique...but Lisa prevailed and we had character meals every single day we were there (which should usually be booked 180 days in advance). She also scored us a rooms at the Grand Floridian with DIRECT views of Cinderella's Castle, so we enjoyed watching the 10pm fireworks from the privacy of our balcony each and every night of our 5 night stay there. At my request as I was feeling quite overwhelmed and didn't know where to start, Lisa also used her vast experience and drafted up a recommended itinerary of where we should be and what we should do each day, down to how we should get to each place. 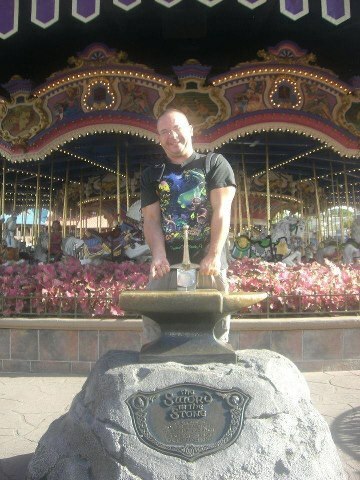 Once at Disney I felt like we knew more and were better prepared than anyone else in the parks...all because of Lisa. When you're spending this much money on a vacation, it's a great feeling to know that you've done it wisely and are prepared in every possible way...Lisa did this for us. Kelli D was awesome to work with. She went above and beyond any expectations in helping me and my family put together an amazingly magical vacation. She was always available for any questions and she worked with me providing tips and hints as well as suggestions to help my decision making. 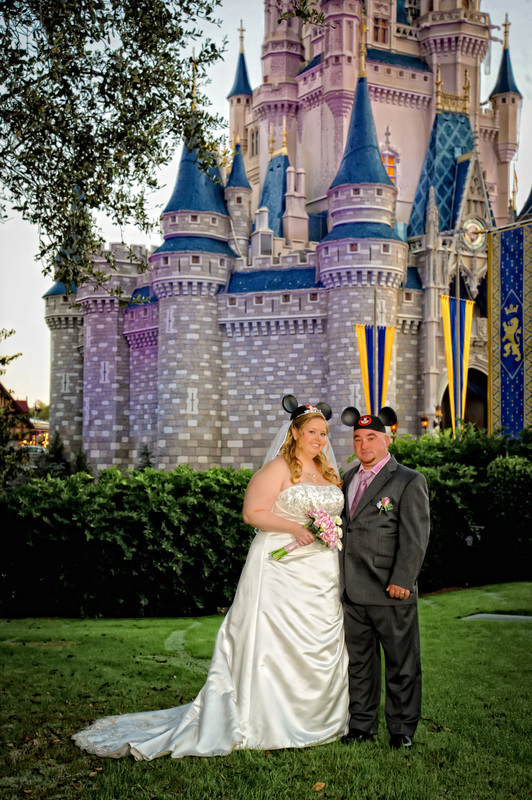 The entire process was extremely easy with the help of Kelli - I cannot wait till I have an opportunity to contact Kelli again for my next Disney Vacation!! Our vacation got a tricky start with a record snow storm, driving ban and several cancelled flights in our area. I wasn't sure we would be able to have the relaxing and fun vacation, we had planned months ago. But Lisa Reese and Amanda made it all happen for us. They spent countless hours on the phone to change our hotel and update our dining reservations. .... Due to our travel changes, we missed the princess lunch at Akershus in Epcot. I was so disappointed when I thought I would miss the experience. This was the thing I had been looking forward to the most. 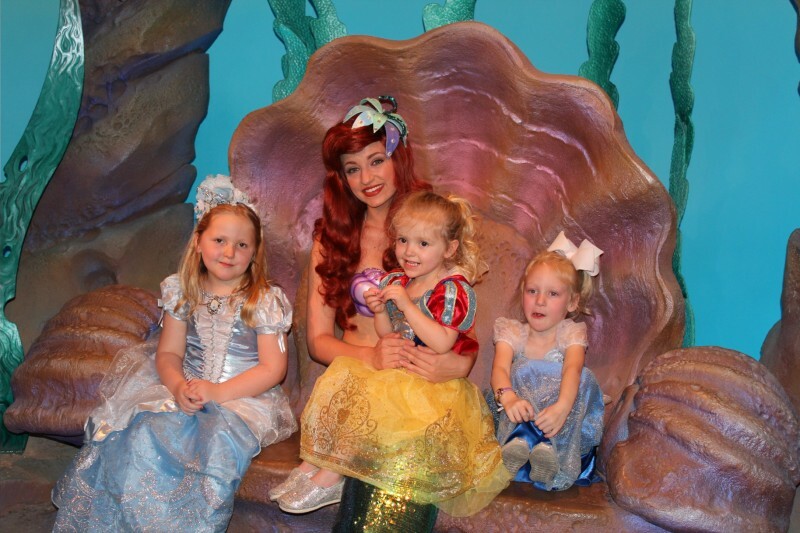 I knew my two girls would love meeting the princesses. And with true Disney magic (I swear Lisa must have been using her magic wand) she didn't give up and made it happen after all a few days later. The experience didn't let us down, and I'm so thankful that Lisa kept working with us during the trip. She was constantly in touch by email or text. What great service! Tonya S was such a joy to work with. She made herself available anytime I needed anything no matter what time it was, on her weekends, and even on her time out of the office. She provided wonderful recommendations, but also listened very well to what we wanted out of our vacation. She tailored it specifically to our desires. She planned the trip of a lifetime. Carrie D was very helpful. We can't say enough good things about her. She called ahead and made sure that our arrangements were all in order. She got back to us quickly if we had any questions and helped us book special events at the parks. She also drew our attention to money-saving deals that made this vacation more affordable for our budget. She even enjoyed our wacky sense of humor. 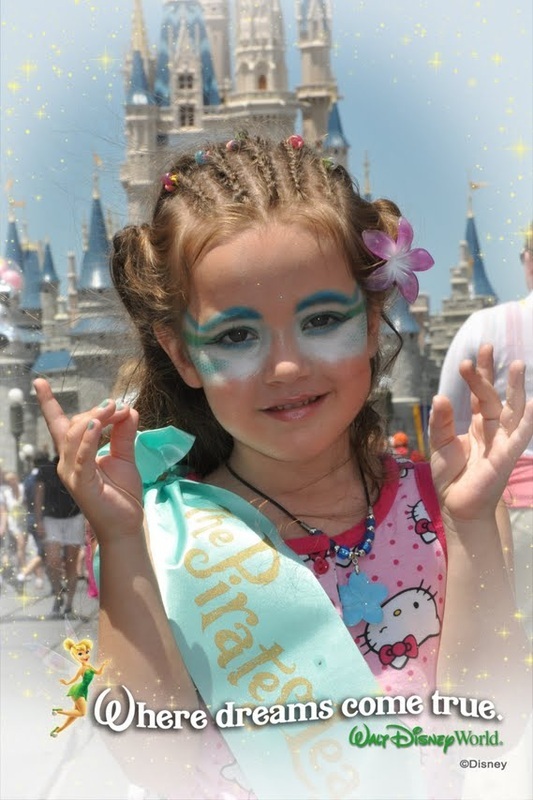 We are sure to recommend our pixie to friends and family who plan to take a Disney vacation in the future. Misty B was fantastic! Lots of insider tips that really helped us. She was very helpful and her knowledge of WDW was great. All of the restaurants she recommended for the meal plan were excellent! Tonya S was really great. She booked our princess dining reservation and our appointment at Bibbity Boppity Boutique and both went off without a problem. I feel that she did everything in her power to get us the best deal possible and the most Disney experience for our money. It gave me comfort to know that she was working to do this and kept me up-to-date on new offers,as they became available,so that I could save money. I would never consider another Disney vacation without using your service. It can all be quite overwhelming and she made everything so much easier. Tonya S was great! Made the planning process easy, stress free, and answered all my questions. We, as family, couldn't decide at first where we wanted to stay. Tonya was patient and gave several quotes to help is decide. I even had some health issues on the day of arrival at Disney, and she took the time to make sure the resort staff took great care of me. Laura was always available to help answer questions and plan our trip prior to leaving. Most importantly, she was extremely responsive and helpful for any questions or requests we had while we were on our trip! She was able to provide us with available dinner reservations. I would highly recommend Laura Beasley as your DVP. She couldn't have done enough for us. Anything and everything she offered us and gave us was to the "T". We must have talked on the phone or on the computer six, seven or eight times before we finalized our vacation. What a pleasure Laura B was to work with. 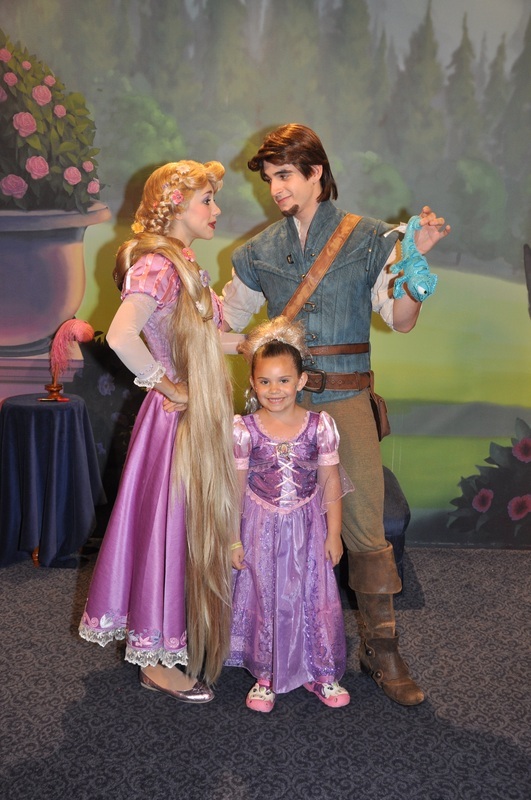 Working with PAPD was a great experience but what really made it magical was our pixie Laura Beasley! She spent so much time attending to every little detail, making suggestions and just being helpful in general! She made everything so easy and stress free for the whole family. She truly made our Disney dreams come true! Using PAPD was an amazing experience. The ease of telling someone what I was looking for and having them put it all together to make it the most magical vacation ever! We celebrated my daughter's 5th birthday and everything was perfect! Thank you, Lisa Reese for an amazing job!!!!!! We had a fantastic time. When we first called we did not know about all of the different options; however, once we talked to our DVP Julie B we understood it much better and were able to make some critical decisions that made a huge difference in the cost and our enjoyment. Lisa Reese rocks!!! I have already recommended her to several others that are looking to cruise. I appreciated her professionalism, enthusiasm and passion for what she does. She made this such an exciting process!! I loved the whole planning process. Laura Liden was wonderful and I would use her again. I changed resorts a million and one times and she was always there to help and call Disney to change my reservation and to answer any questions that I had. Our DVP was such a great help during our planning process for our BIG Disney trip. She made the process extremely simple....she took care of our hotel reservations at a great resort and we got an excellent room! She planned our park tix and coordinated our dining reservations as well as sent us an itinerary for the week. She informed Disney that my daughter and granddaughter were celebrating their b-days while we were there which added extra magic to our trip! Also provided us with many tips and tricks to use to make our vacation go so smoothly. I will definitely be using Lisa Reese again for our next trip!!!! Sarah H and Pixie and Pirate Destinations were great. I don't know how it's possible to take stress out of planning a Disney vacation, but they certainly did! We love working with Pixie Sonya! She always saves us money and points out great activities she thinks our family will enjoy! Lisa Reese was great. She was friendly, informative, and gave us timely answers to questions. She gave us great information, and got all of our reservations at great times! She also helped us change our reservations only 1 week before we were scheduled to arrive in the resort. I do not have one single criticism of her. I will definitely contact her again the next time we take a Disney vacation! Sarah H was so on point with everything from providing quotes, keeping me abreast of any changes, answered all of my many questions and scenarios. I cant think of anything that she could have done to be any better. She was great to work with and will be working again very soon. Julie B was the perfect guide for the planning process for our Disney vacation. She was always helpful and responsive, communicating with me as needed to keep me aware of opportunities to improve our vacation. I'm a well-organized person by nature, and Julie never flinched at my requests for more information. She was always happy to go well beyond typical customer service for us. She is friendly, funny and thorough--she makes the planning so much easier and more efficient than doing it on our own. We checked the quoted prices against the prices at the Disney website, and they were lower than the Disney website. Thanks, Carrie D, for making our planning so much easier! Sonya went above and beyond to help with our vacation planning! She answered all of my questions very promptly and helped me by suggesting things that I wasn't sure about. We had a wonderful stress free vacation thanks to Sonya! I had contacted other sites for quotes and Carrie D was the first person to help me figure out what military discount options I had. She was so much more personable and she cared about our trip as if it was her own! I can't say enough good things about Carrie! I felt relieved after hearing back from Pixie and Pirate, that someone was going to actually help me and not just throw numbers at me. She checked in with me several times to make sure that we had everything we needed for our trip. Having not been to Disney World in years I was a bit overwhelmed with all of the lodging options available and came to PAPD with lots of questions. Rhonda A was amazing, gave great advice and made sure that we received all the perks my first timer two year old daughter really loved! Sarah H is an available expert when it comes to planning a Disney vacation! She is knowledgeable and informative from her past experience and love for the World. It would be a pleasure to work with her again in the future. Sonya L went ABOVE and BEYOND! She set up everything for us, and made sure to give Disney all of the little details. We will use Sonya and PAPD again for our planning of our next WDW vacation. We have sung her praises to everyone who would listen! The personal touches and assistance provided by our DVP were exceptional! She assisted in linking our reservations (thus resulting in us making wonderful new friends). She was always available when I had another question and if she did not know the answer immediately, she would find it out and let me know. Lauren C did a great job working with us on planning a last minute trip. She was definitely willing to work hard to help us have a great experience. Sarah H went well out of her way to provide us with many, many quotes as we looked into our options for choice of resort. Once we had decided where to stay, she provided us with lots of helpful information, daily itineraries, booked our restaurant reservations for us, and went above and beyond all expectations during the planning stages. Additionally, I discovered I had more questions the day we left for the trip, and Sarah was immediately available to ease all of my concerns. Top notch. Laura B made our vacation planning simple, easy and stress free. Her incredible wealth of knowledge about the parks, resorts and dining location was impressive and valuable. Her dedication to providing us quality customer service was unparalleled, she made us feel like we were her number one priority from start to finish. We plan on going back to Disney in the future and have every intention of using Laura again and again! Lisa R was a most wonderful DVP! She answered all of our questions prior to booking the trip, was exceptional at setting up our packages, and she was only an e-mail or phone call away when we had questions the week prior to arrival! Amanda S, thank you for all your help and advice. Without you we would not have had the experience we did. Your recommendations on restaurants and things to do were spot on and my 5 year old has requested we move into the castle. Look forward to our next DISNEY VACATION and will be for sure calling you. Lisa R was wonderful to work with. She thinks of everything and answered all our questions. Laura B is an amazing Disney vacation planner. I will use her again for my next Disney vacation. When there was a glitch in Disney's system, she spent hours on the phone making sure all my reservations were correct. She was great at making suggestions along the way, but was not pushy at all. She was very helpful in answering any questions I had, especially with regards to staying at the resorts. This was my first time at one of the resorts and she suggested Pop Century. It doesn't have to share busses with any other resort which seemed like a time saver. If you plan on spending most of your time in the parks, this resort was perfect, as is Laura B, my DVP! Amanda S was great! She helped us make an alternate reservation for our resort after I was able to get the time off to qualify for the "free dining plan." She was up early and waited on hold to help us get a dining reservation when the new Be Our Guest Restaurant opened. She responded to many emails from me with patience when I continued to make changes. Lisa Reese helped me plan the best engagement vacation I could have ever hoped and dreamed of, for my fiancee and I. She kept me notified of any changes to our vacation, as well as any ways we could save money or effort so our trip could be as memorable and enjoyable as possible. I would definitely refer her to anyone looking for a vacation -- more importantly, a romantic vacation, to Disney World. Our DVP, Laura L, did a great job in helping us to have a magical vacation at a reasonable cost. She understands the packages and plans within Disney and got us the most for our money. She was available when we needed her and planned a nice surprise for us when we arrived in our room. Laura B was fantastic from beginning to end! all requests were taken care of as well as dining reservations. 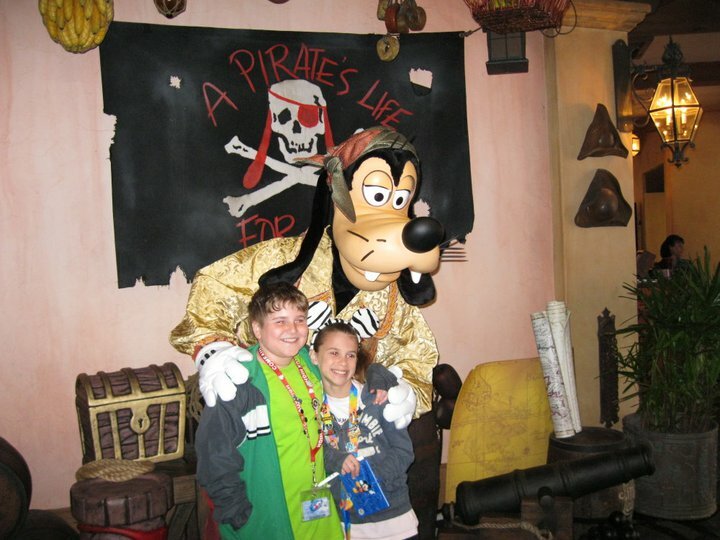 If you are planning an upcoming Disney vacation, you'd be silly not to use Pixie & Pirate Destinations! They do all the work for you, take out all the hassle & headache. Using them truly made my experience one of the best trips ever!! Working with a DVP is a must for anyone tackling the planning of a Disney trip. Even for experienced Disney travelers, the choices can be overwhelming. My DVP made the options clear and understandable. The tips and recommendations were priceless. Will never plan a Disney trip again without a DVP. Thanks to Pixie and Pirate Destinations and Lisa R for making our first trip to Disney with our twin daughters even more amazing that we could have imagined. From the beginning stages of planning to the trip home, Lisa helped to make our trip great and stress free. She was so knowledgeable about everything Disney...I mean everything! Our resort was great, the plan of attack for the parks was perfect, and the meals were delicious (and really fun). She went above and beyond our expectations to make our trip special and memorable. I would highly recommend Pixie and Pirate Destinations and Lisa to anyone looking to have a perfect Disney getaway. My DVP was so easy to work with! And I can't wait to get my next quote from her! I just love that she does all the hard work for you! The help and info given to us from PAPD was perfect. There wasn't a question they couldn't answer! Every suggestion made was right on point for our family. The next time we go to Disney we will def contact our agent again. Caitlyn L is very knowledgeable and helpful. Helping people plan their Disney vacations is her true calling. She loves what she does. Sarah H was a great asset to have while planning our 1st trip to Disney World! The itinerary that she put together for us was AWESOME and we pretty much followed it to a T. I really don't know if our vacation would have been as half as good without her help. She was always available to answer questions and even when I had a mini panic attack about the impending bad weather, she assured me that everything would be okay and we would still have a great time! (The weather ended up being GREAT the whole time we were there) :-) Thanks, Sarah! Lisa R was fantastic from the initial planning stages all the way through. She helped with with everything I could have asked for and some things I hadn't thought of. I would recommend her for any Disney related planning you need to do! Laura B was wonderful to work with. She has extensive knowledge about Disney World. She addressed every question/concern/issue professionally and promptly. I never felt like I was bothering her- she was always glad to help! The easiest way to plan a Disney vacation that I know of. They make all the reservations and changes that we needed and saved me time and money. Will be using them to plan my next trip. Also the tip sheet my DVP sent was spot on, everything on the list was worth seeing and doing. Lisa Reese made our Disney vacation so easy! I didn't have to do anything but provide my credit card (and she made sure that I got the best deal out there, so even that wasn't painful!). She was very attentive and made our vacation perfect! I would not hesitate to book with her again.. and will very soon! Misty B made a planning process that could have been very stressful, simple and easy. Misty was proactive, gave informative, detailed and organized information. We will definitely use her again! Lauren Charles is great because she truly loves Disney. She is excited with you and for you through the whole process. She will handle every aspect of the planning process but will also allow room for type A personalities like myself to plan too. Chrissy G was the best - knowledgeable, helpful and truly interested in helping me and my family get the Disney experience we hoped for. I should have done more homework to help Chrissy G help us even more (watch out next time!). We suggest using her as an agent without any reservations (HA!). After my wife made a call to our resort, she was very worried about the knowledge of the contact at the Caribbean Beach Resort. I expressed my concerns to Chrissy and she quickly reiterated that all details would be taken care of - she was 100% right. Laura B worked with me through email, phone calls and the website and I could not have asked for more. I really don't know why anyone would not go through the planning with your company. Laura B was kind, patient and helpful in all her suggestions. She had a quick and honest answer for every question I asked. It was our first trip to Disney and I felt like a pro by the time I got there all thanks to Laura! Our planner, Lisa Reese, was so very helpful. She answered all my questions quickly and completely, plus she sent us lots of advance info. and teasers to help us plan what we wanted to do on the ship. And she had some nice surprises for us onboard. She has done several of the cruises herself, so knew exactly what we could do and what kinds of cool things to look for and enjoy! She knew a lot about the kids club which was important for us. Sarah H was awesome from beginning to end. She is very knowledgeable about the park and planned our vacation perfectly. We had nothing to think about and no worries. All we had to do was have fun. I highly recommend Sarah and would have her plan our vacation again. 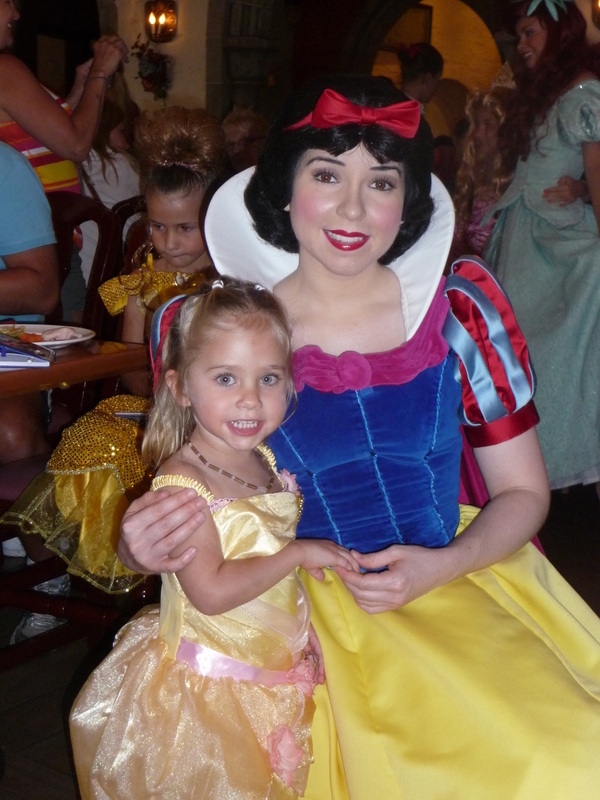 Booking a Disney vacation can be so overwhelming but using my DVP JoAnna B with PAPD made everything so easy. Our DVP waited hours on the phone to book our free dining, had so many great suggestions about dining reservations and was extremely patient with all of our questions and changes. She was absolutely wonderful and I'd book again with her in a heartbeat! Laura L was so patient with all the changes. Everything was perfect - even Universal tickets she also helped me purchase. Carrie D was an amazing vacation planner. She gave me terrific suggestions and provided me with a variety of options to ensure I was happy with the decisions I made. When I changed my mind, she made it a priority to make sure the changes were done quickly. She informed me of options for booking that I was not aware of, made last minute changes for me when needed, and responded immediately anytime I had a question or needed help with something! She was such a tremendous help, and I wouldn't hesitate to use her services again, and I will certainly tell others to book their trips through her as well. Thank you Carrie! Booking our Disney vacation with Laura B was one of the best parts of our trip! She took all of the headaches out of the booking and reservations aspect of our trip! We will definitely book with Laura B again! Pixie and Pirate Destinations did a wonderful job planning a Disney getaway for us and they also worked with our budget. They were always available, helpful and knowledgeable and stayed in touch with great hints for making the most of our vacation! I recommend them to anyone who is planning a Disney Vacation! Lisa Reese was our planner and she did an awesome job! Heather G helped make our trip to Disney phenomenal! She took all of the stress of planning the trip off of me. I loved that I could ask her any question and I would get a very quick response. Right before our trip, Heather sent very helpful information, such as the best places to view fireworks and the things not to be missed. Even during the trip, she checked up on us to make sure everything was going well. Using the payment plan made it easier to pay for our trip instead of having to pay for the whole thing all at once. I am already looking into booking a Disney cruise with Heather for next year's vacation. Laura B was always very reliable in responding quickly and resolving any questions or issues we were facing. And it was not easy since she had to deal with 4 families. She was pleasant to deal with and, most important, very efficient in handling all the details and making the planning stage run so smoothly. It was a pleasure to work with her. Lisa Reese was extraordinary in every way. I've never had (or even imagined) such a good experience with any travel professional, anywhere, ever. Always friendly, super responsive, supremely knowledgeable, angelically helpful -- she seems to know everything there is to know about everything Disney, and be on the alert for any changes (including inside information) that might benefit the people she represents. She really cares about getting the best for her clients and making sure they have a truly magical vacation. Debra D is a terrific DVP. She helped us with all stages of the planning. She was in contact with me throughout the process and continued the contact even with helpful tips, and insights. 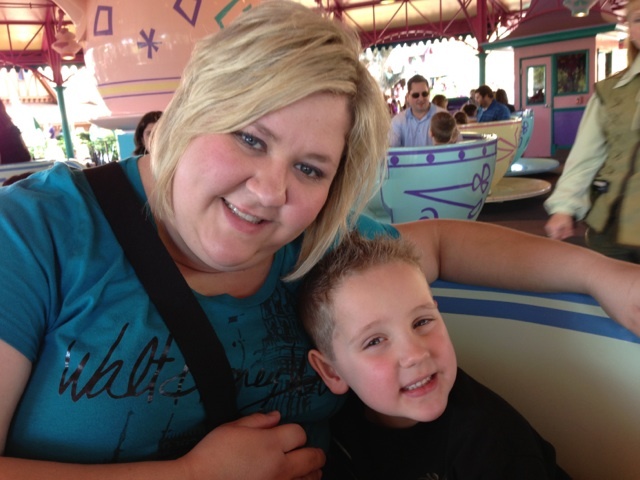 She is very passionate about her clients having a very special Disney vacation and it shows. You can tell she loves to spread the Disney magic. She is a top- notch planner and I would recommend her to anyone who wants an amazing Disney experience. Lauren C was very prompt when answering question about our vacation. It was nice knowing we were being taken care of. Laura L had to deal with adults with different ideas on the vacation itself (where to stay, how much to spend...) and kept us on track. She provided excellent recommendations not only on things to do, but when in our trip to maximize the time spent in each park or outside of the park. When we had a family emergency and had to return early she helped us get everything in order and even helped us reschedule some of the things we had planned so we got the most of our remaining time and didn't have to worry about the details. Rachel R was very informative and looked out for our best interest as far as getting us everything we needed for a happy and successful trip. She kept us updated as to all we needed to know and made the video and booklet available so we could dream about our trip beforehand and be prepared for what was to come. Everything was just fine. I made changes months after we booked. Lisa R was just fantastic in making the changes. WE COULD NOT HAVE HAD A BETTER TIME. We were in the park for a week, and everything was great! Carrie D exceeded our expectations from the initial contact to the follow up after the trip. She was UBER responsive to any question I had-even with all my crazy changes. We did the Not so scary Halloween and she had those passes sent with our luggage tags, so we were all set. Carrie was enthusiastic, kind, and she shared what she loved about Disney as well. I feel that if we met in person, we'd be instant friends!! I didn't have one concern about our trip and now that we've returned, her preplanning made all the difference. Laura B made our Disney dreams come true. It was so nice to have a stress free vacation! She was on her own vacation and still had time to text me promptly when I had questions. 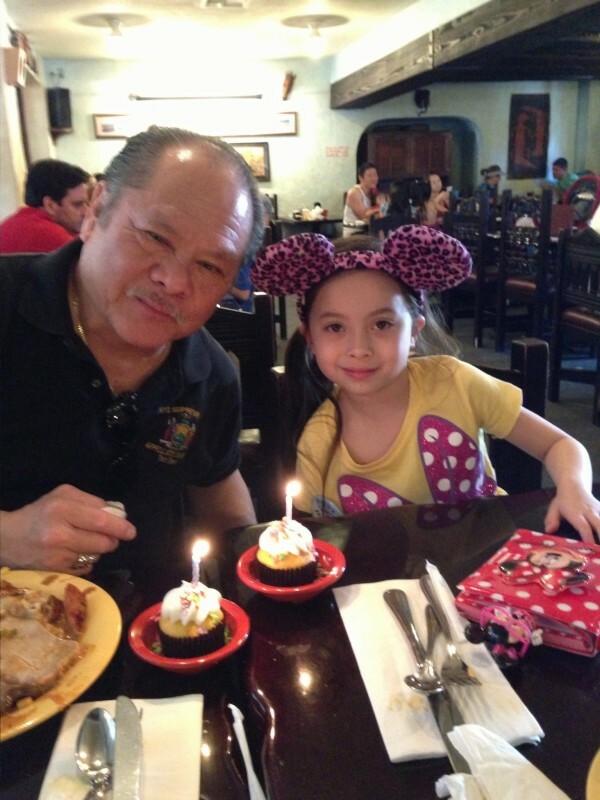 Even when we arrived at Disney she made sure we were there safely and that everything was ok for us and my dad. My dad even told me to tell Laura B what a fabulous job she did. All of his wishes were granted! We will be using Laura B for all our Disney planning for the rest of our lives. Our DVP Sonya L was so kind, knowledgeable, & patient. She took into consideration our daughter's age & interests and planned around that. She also listened to us about our budget and never tried to talk us into anything that would have exceeded our budget. Lisa R did an amazing job helping plan our Disney World vacation! She was always available to answer any crazy questions I had and gave me a LOT of valuable/time saving information for our park visits. On top of that, she worked hard to get our room discount! Our DVP Laura Liden was great. I tried to book a vacation for our family through the WDW website by myself and was not having luck. The system kept telling me there were not rooms available under the special I was trying to get (Free dining plan). I got a recommendation to contact Laura L from a friend and she was great. She gave me quite a few quotes so I was able to pick the one that I thought worked for my family the best, and we got the free dining plan special at Caribbean Beach! We have a great time and I have already contacted Laura to help me plan a trip for our extended family next year. Caitlyn Lynn was the best! She answered any and all questions with a pleasant attitude and was quick to respond!! She made the process of booking my plans for Disney as easy as possible!! Sarah H was the best! I know I don't have anyone else to compare her help to... but felt like we were old friends helping each other with our vacation. Felt like she went out of her way for us... was very quick to respond back to requests and very helpful when it came to getting us ready for our trip. I would have been so lost had she not been there helping us the whole time. I felt like she was there with us during the trip. Guiding us around the parks. Her recommendations were right on. I don't think our vacation would have been a success without her. I highly recommend asking for Sarah!!! She is the best! Our DVP Caitlyn L was very helpful and prompt with answers when we had questions. We were very pleased with her service. Carrie D was helpful, responsive, and delightful. 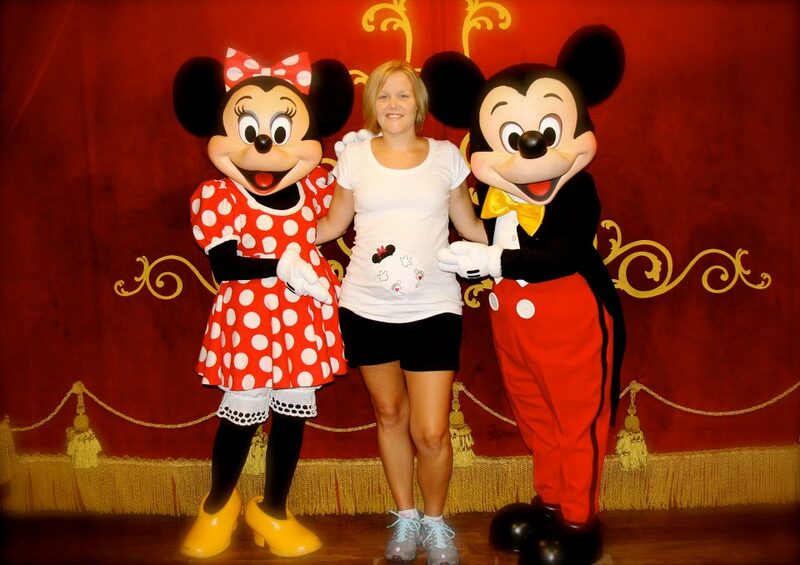 She helped prepare us as best she could for our first trip to Disney World. We liked her so much we are already planning our NEXT Disney World trip through her! Laura L was very helpful planning every moment of our vacation. She gave us all of the options that we asked for and provided us with all the information we needed to make this the best surprise for our children. I know I could not have done this on my own since this was a first visit for me as well, and she made it so easy! Thank you Laura!!! 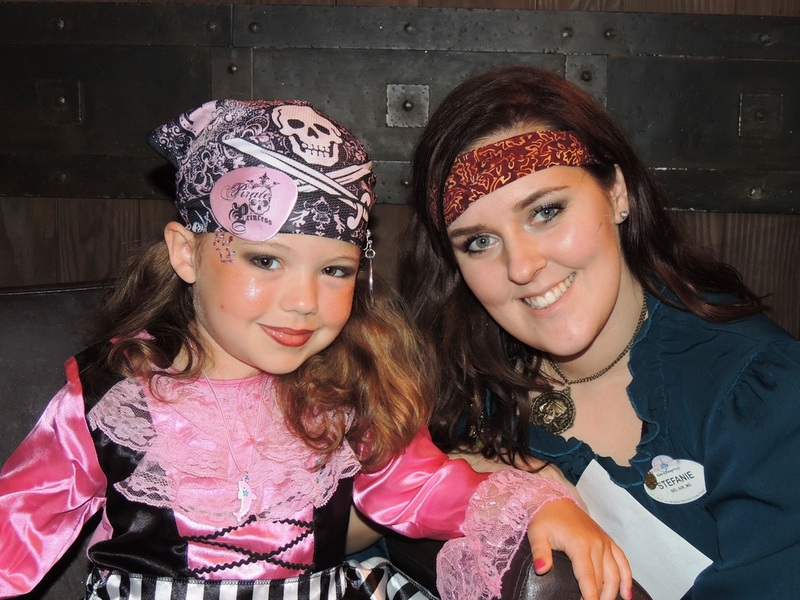 Pixie and Pirate gave us the personal touch to planning our Disney Vacation. We highly recommend them to anyone going to Disney World!! Julie B was great, always attending the phone, always returning emails and making sure I understood every step on vacation planning. She went the extra mile when my Disney schedule did not arrive at home and was able to send a copy to my resort so that when I did check in, there it was.... just surprising. Thanks Julie! Laura L was great!! We just called her and told her when we wanted to go and she did all the work. Any questions we had she already knew the answers. She was well informed and very helpful. When I plan my next trip to Disney I will definitely call Laura again. Working with Lisa R was a win/win! We had everything taken care of for us and she gave us so many insider tips that helped us enjoy our vacation even more! I can't think of a single reason to plan a Disney vacation any other way! Julie B was EXCEPTIONAL! 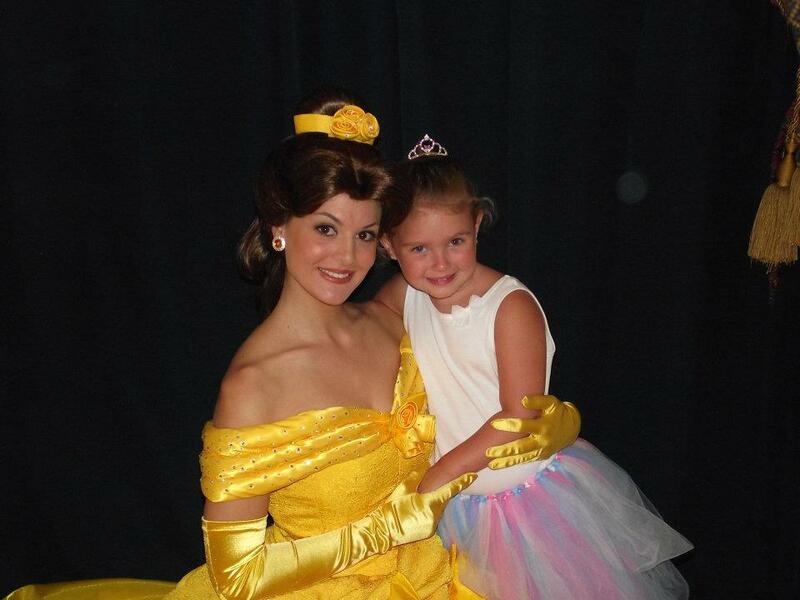 Her passion and love of Disney makes her the perfect DVP! Nothing was ever to much for her. She is a STAR! I really felt as though the help Lisa Reese was giving me in planning our trip was one she would give a family member or friend rather than just a client. Lisa responded back quickly, even at hours I would not have expected a reply back. She searched for the best deal for our budget and I can't wait to work with her again in planning our next trip. Lisa Reese helped plan my cousin's wedding on Disney's Castaway Cay. She was wonderful to work with even when my own family was making changes after we made our reservation. She had helpful tips all along the way up until the day of our cruise. My sister and I have already booked another cruise and are happy to work with Lisa again! It was a wonderful experience and my cousin couldn't be happier with her experience either! Lisa R did an awesome job planning our vacation and was very helpful and prompt with her responses. 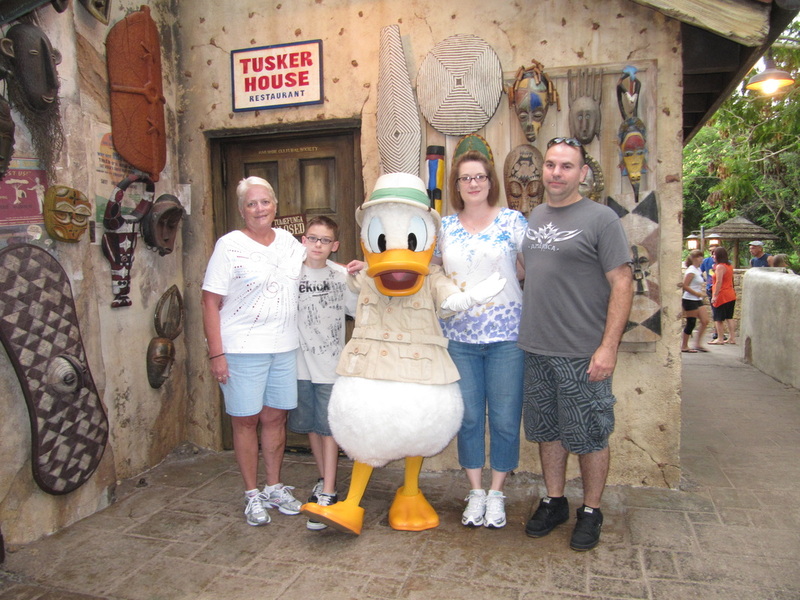 My family had a great time and would use her again to book our Disney vacation! 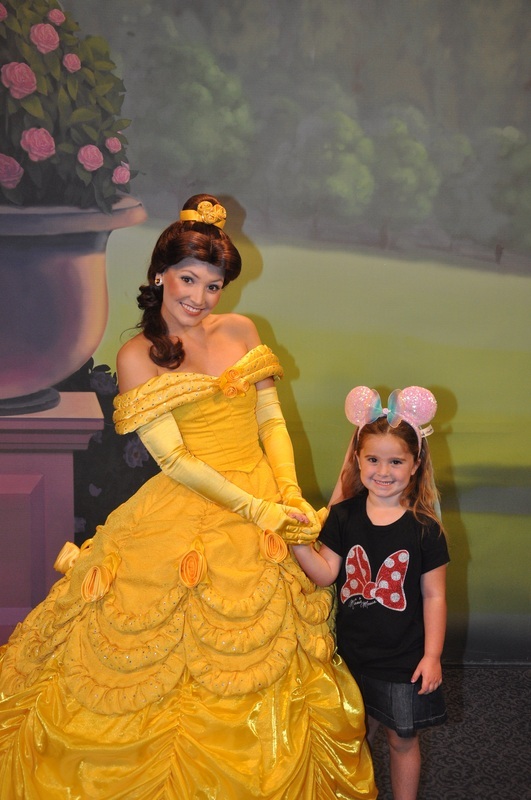 Molly L was an amazing help in planning our family trip to Disney- she was extremely knowledgeable on all things Disney. She was my #1 go to person for everything - always happy to assist in all steps of planning from the initial booking, to dining reservations to on-line check-in. Never had to worry about a thing! So lucky to have had Disney's #1 fan as my vacation planner! I was not overwhelmed like I would have been if I'd done all of the planning by myself. Thank you so much for your help planning our trip. We had the best time! Your suggestions and advice as to where to eat and how to get the most out of each park were perfect. Everything in the resort was ready as we requested. Thank you for spending so much time helping us plan and making dining calls. You saved us so much time. It is a trip our family will never forget. You can bet we will recommend you to all of our friends. Thanks again. Our trip was seamless from the days in the parks right to the dinners. Everything was set and ready for us allowing us to enjoy the vacation without any stress. Our DVP did a great job of figuring out what our family might want to do. She made no assumptions about what we wanted nor did she recommend places that were HER favorites. I really felt as though she was taking our needs and desires into consideration when making recommendations. Having a DVP was an incredible advantage for us. I don't have the time or interest in planning a trip and Sarah H did a fantastic job of handling the stress for me. Thank you so much!! Julie B was a great pixie for us. Her communication was clear in every message we received. Any questions we had were answered promptly. She always expressed a positive attitude and was very informative. 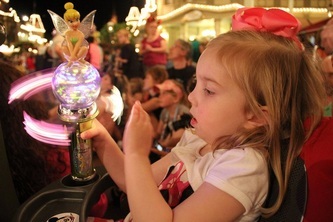 This was our first trip to Disney World and having a pixie help us set up the vacation truly made the process more comfortable. Thanks Julie! My DVP Molly L was great. We really only talked once or twice but stayed in touch daily thru emails. What ease! Let's face it. We are all busy and sometimes even returning calls can be a headache. My gal was thinking ahead of everything. Even check ins. While I was planning how many days off, cleaning out the fridge, ironing the clothes, packing. I really had no travel worries at all. Thank you very much for providing a great service. Andy A exceeded our expectations as our DVP. This was our first family cruise and our most memorable family vacation to date. We will cherish memories and pictures forever. Disney's attention to detail was amazing. The service and entertainment were top notch. Also enjoyed our time in both Caribbean ports. Have already referred Andy to our friends who will be booking future vacations. Andy, thanks for going above and beyond. Every detail that I would have overlooked was taken care of by my wonderful DVP! Thank you for helping my family plan a dream vacation unlike any other! Our DVP was amazing. She was available, knowledgeable and extremely helpful. 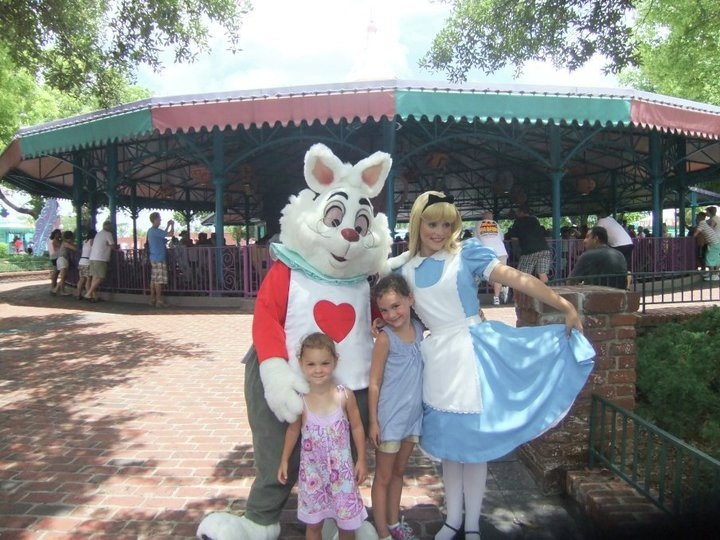 We were a party of 10 making our first trip to Disney World, and we never felt pressured or like we were pestering her with our many questions. I would highly recommend her and will definitely consult her for our next Disney vacation. Julie B was so much help right from day one until the day we left for our trip. This was our first visit to disney and when I started the planning process, I was so overwhelmed. But with the help of Julie, I never had to worry about it again. I know that Julie had so much information about Disney and she told me everything i needed to know. she planned every meal for us and even wrote out an itinerary for us day to day. Great Job Julie! 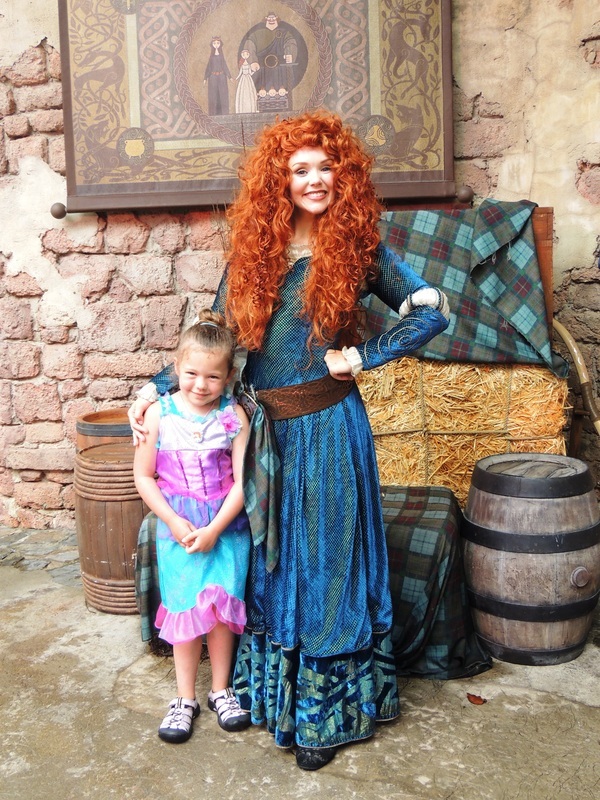 Pixie and Pirate Destinations is a MUST if you are planning a Disney trip. They took much of my stress away by answering questions, giving advice and making use we had the kind of vacation we wanted. I cannot express my thanks enough for all they did! Doing Disney is a huge investment in finances and time and because I booked through Pixie and Pirate Destinations, I saved in both areas. Thank you Lisa Reese! 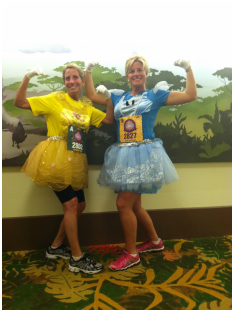 I was referred to PAPD by a good friend who is planning her Disney wedding with Lisa R. She has had such a great experience working with Lisa and thought I would have the same planning my Disney family vacation. My friend was right! From the very beginning Lisa was fantastic to work with. She was quick to respond and listened to my wants and needs to help me plan the vacation that fit my family best. She spent a lot of time with me answering questions from whether I should bring my own stroller to where to eat. Lisa was truly invested in my vacation and I felt she genuinely wanted my family and I to have the most magical vacation ever. Lisa is my Disney Yoda as I affectionately call her. I am already thinking about my next Disney trip and will be giving Lisa a call when that time comes. Amanda S was fantastic! She answered all my questions, helped me choose restaurants that worked well for my family and was in constant contact with me throughout the whole planning process. Carrie D was so super helpful in planning our Disney trip. She went out of her way to help us. She always was prompt in responding to emails. We couldn't have done it without her help. The greatest advantage was not having to make my own reservations and knowing that all was taken care of when we arrived. It was great to not have to stress over anything. We just had to show up! Julie B was an amazing person to work with, she had insight, tips and advice to help make our vacation the best that it could be and when plans changed, she was right there making sure things went smoothly. I knew that I could ask her any question and have a response in a very timely manner. She took the time and stress away from me when trying to book a vacation. I told her what we were looking for and she did the work for me and gave me my options. She was always very pleasant and I felt that she was very approachable. We are already planning our next vacation with Julie and I know that it will be a magical experience with the help of her! Thanks so much Julie!! Amanda S was a great help. We were traveling with a group of 12 people. She was able to keep us together for our dining. Any questions that we needed answered were taken care of quickly. We couldn't have had any better help. We are already thinking of planning another trip in two years. We will book with Amanda again! Lisa Reese made the whole concept of a Disney vacation more approachable for me. Whenever I thought of going to Disney, I got overwhelmed by all the choices I'd have to make and didn't know where to begin. Lisa broke all of that down for me and talked me through it all, making it much more manageable, and she gave me lots of great suggestions on top of everything, so I was so happy to work with her! Many thanks, Lisa! Using Pixie and Pirate Destinations to plan our Disney vacation was absolutely wonderful! I was able to provide a list of my needs and wants and Amanda S was able to take care of everything we needed from the best room choice to the perfect character breakfast times! Someone from PAPD was always accessible if we had questions and we always had quick responses. I would most definitely use PAPD again! They came highly recommended from a friend and I have definitely been passing the PAPD information along. 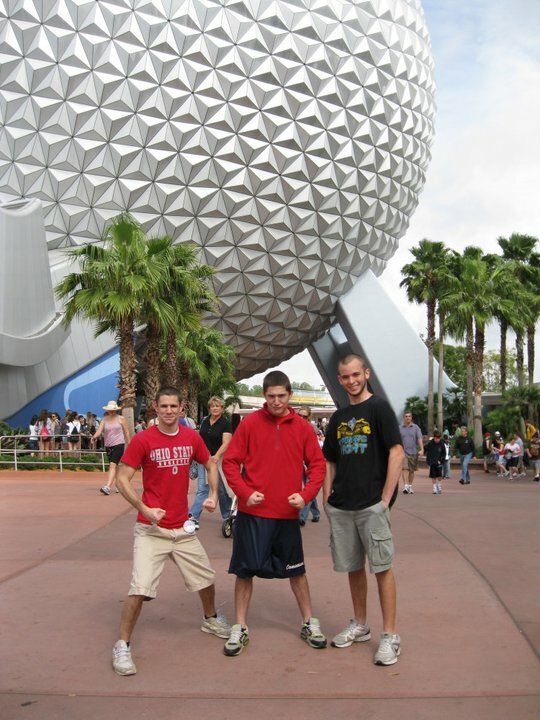 I hope we are able to plan another Disney vacation soon! I know PAPD would help make it as magical as this past visit! Amanda S was our DVP and she was fantastic. She took a lot of stress away from the sometimes overwhelming task of planning a family trip to Disney World. We didn't have a clue what we were doing while planning the trip because this was a 1st visit for everyone in our family. She made the process easy. She made suggestions based on personal experiences as well as client feedback which we valued heavily. She was more than willing to answer as many questions that we could throw at her (which was a TON) and more than anything she was extremely accessible (rare to find these days). As long as she is still in the business, we will definitely be using Amanda to help plan our next Disney vacation. Working with Pixie and Pirate was a great relief for me!! I just told Amanda S what I was looking for in my vacation and she did the planning for me - no work or headaches on my behalf. Everything went smoothly and no complications - they did everything for me and I am so grateful! I will definitely us Pixie and Pirate again. Thank you! Lisa R was phenomenal from beginning to end and her helpful hints and advice were great - even to an experienced cruiser. We have used other travel agencies before, but we are staying with Lisa from now on! She is even planning our next WDW trip in just a few months. I have no doubt it will be our best WDW trip yet. Laura B was great, we had good communication. She answered all our questions quickly and gave very helpful opinions. The most beneficial thing she did was mention a GAC (guest assistance card). Our daughter has heart problems and is really heat intolerant. Getting this card enabled us to have a wonderful vacation without her having any issues. It was such a blessing. Sarah H was great! She helped us with figuring out accommodations for our larger family and was available to talk or email whenever I needed help with anything. 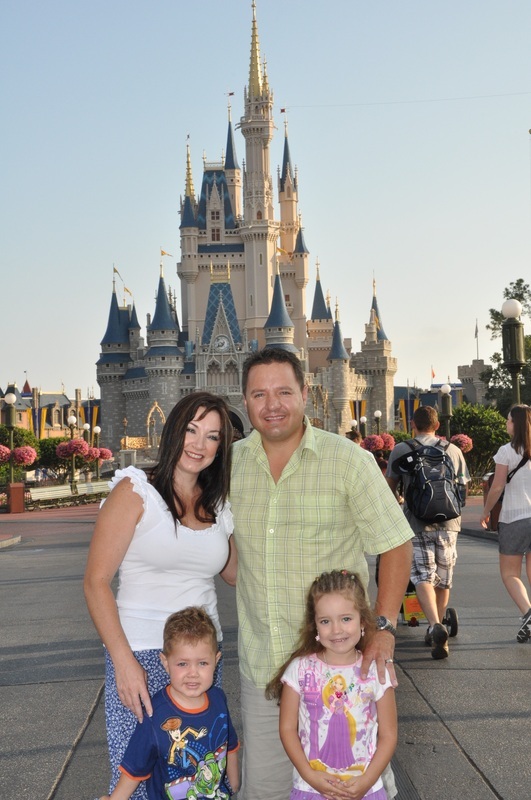 We called Sarah H about a last minute plan to visit Disney World for a week with our two little boys. She was very friendly and helpful, especially given the time crunch we threw on her! She had our reservation made and even checked us in online the same day I talked to her, which allowed us to concentrate on last minute packing and travel prep without worrying about the hotel details. This was our first time to stay on Disney property, and we would certainly stay at Pop Century Resort again. Thanks for the advice and help! Oh, and it was an extra special treat to receive both a post card and a Christmas card from Sarah while we were gone! Very thoughtful. Amanda S was awesome. She was always there with great answers, helpful insights and suggestions. She was extremely proactive, and I never had any concerns that our trip would go badly. 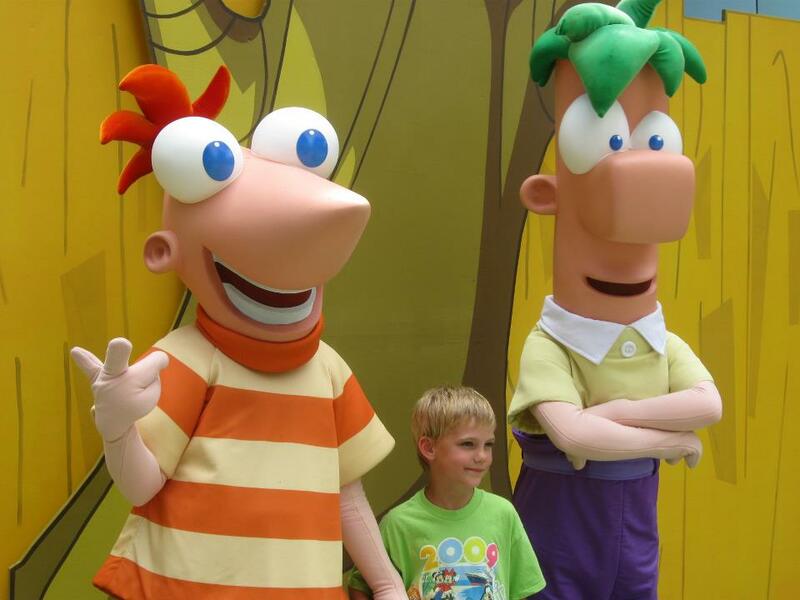 Thank you for helping to make our kids' first visit an extremely magical one! Carrie D is amazing! She worked hard to help our family plan a vacation that would fit into our budget on very short notice. She gave us a ton of information about what to do & how everything would work, so that we'd be prepared ahead of time for our very first Disney trip! Her responses were always quick, and she went above and beyond to make our trip special! Laura Liden rocks! She went above and beyond what any local travel agent has ever done for our travel plans. And I never had to leave my home! Friendly, knowledgeable and quick to respond to my every need regarding my vacation. Will definitely use her services again, and highly recommend. I highly recommend Lisa Reese. She was so wonderful to me and my family. My vacation would not have been as magical if it wasn't for her. 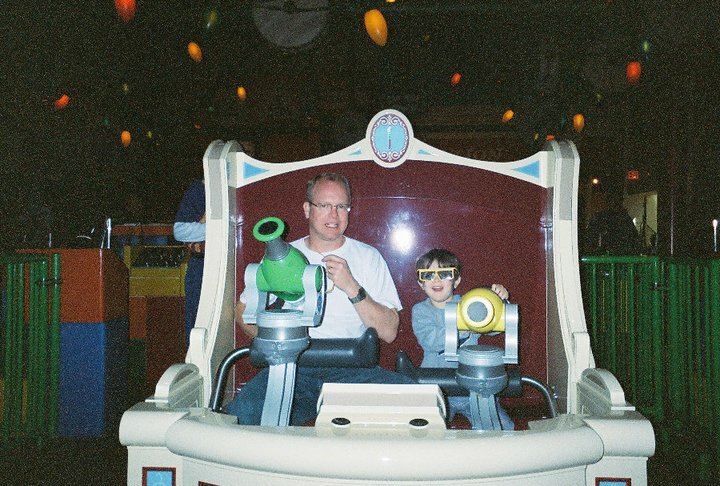 This was our first trip to Disney as a family, and my first trip as the head of the family. I never knew how much planning and preparation goes into a trip like this. There is so much to do and see that having an experience planner like Lauren C is invaluable. Basically I gave Lauren our likes and dislikes for parks and food and she took care of the rest. We had a daily itinerary before we left and everything went smoothly. Using a DVP is a must for first timers. I will use Lauren again because she made it sooooo easy to go to Disney. Debra D did a great job of getting our trip to Disneyland booked last minute and making repeated calls to the reservations office to extend my hold while I waited for my rewards card to come in. She went above and beyond what I expected. 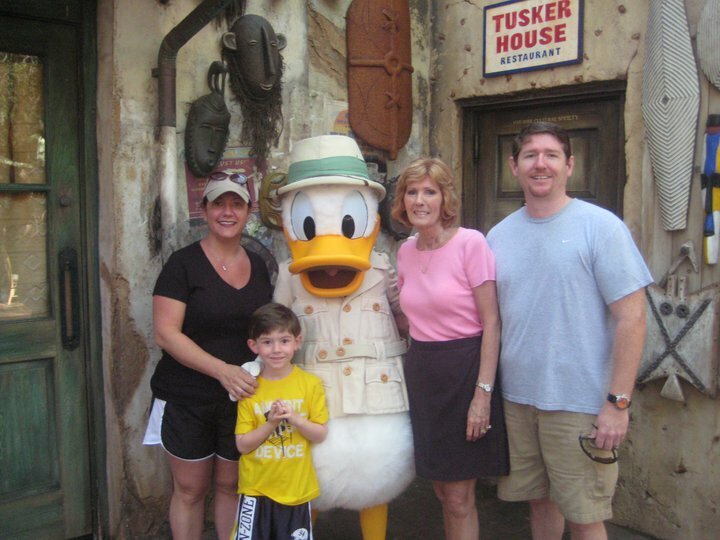 We will definitely use Debra D again to book our Disney vacations!! 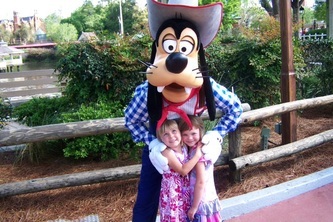 Heather G really made it easy to book our Disney trip and kept us so excited along the way. She went above and beyond and we couldn't have been happier. Using a DVP from Pixie and Pirate was a great decision that I will absolutely do next time I go to WDW. Even though I have been numerous times and know exactly what I want, it was way easier to let my DVP do everything for me. I literally barely lifted a finger and everything was tailored to suit my needs. I've booked myself, booked with a different agency, and had other people book, and this was by far the way to go. Stephanie C was our DVP and she was fantastic. We booked our vacation on short notice and she was able to coordinate and find Resort and Restaurant options that worked with our budget and the ages of our children (7 & 2). She was creative and responsive to all of our requests. Stephanie presented options that we would have never thought of or did not know even existed. 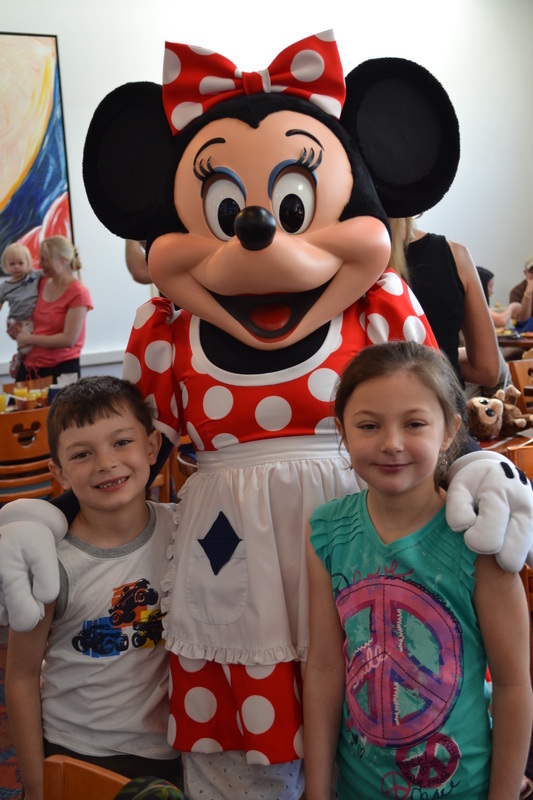 Our family of four had a great time and feel we got the full Disney experience. Can't wait to book again. 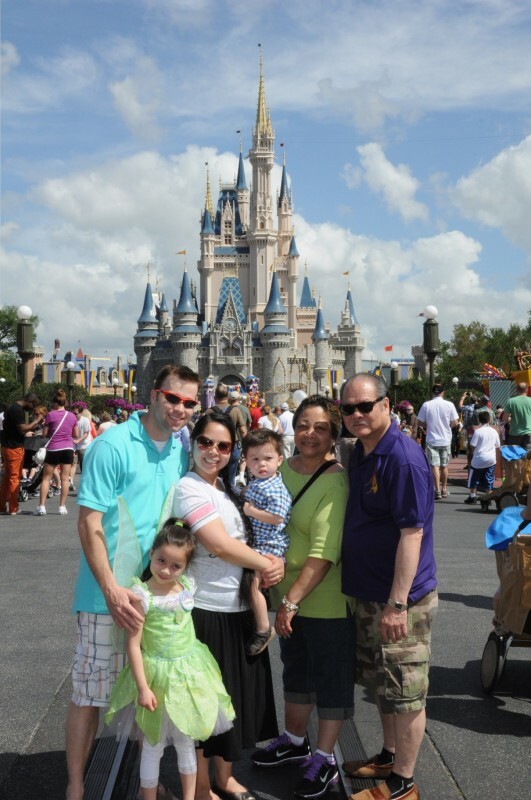 Rachel R, our DVP, was instrumental in the planning of our family's very first trip to Disney. She answered all of my incessant questions promptly and helped us book a trip tailored to our family's specific needs. We had an amazing time and will definitely be going back soon and using Rachel again! Lisa Reese was excellent in setting up our vacation plans. From the time we got off the plane to the hotel, the limo service from the hotel to the ship & back to the the hotel. This was our first cruise & all went well; service on board was beyond our expectations. The Dinner Plan program worked out great. Our future vacations will go through your company. Our planner, Lisa Reese, was excellent! We were nervous as two adults visiting Disney for the first time, plus we wanted to follow a vegetarian/vegan diet. Lisa asked us some targeted questions, and she took it from there. She suggested which parks to visit on certain days, told us about the best attractions for adults and planned restaurant reservations nearby. Her suggestion to stay in the Epcot area worked out wonderfully at the Yacht Club. She answered our follow-up questions quickly and expertly. Thanks to Lisa, we had a magical time! Laura B was wonderful to work with. She was patient with all of our questions and changes. I plan to work with her on our next Disney vacation, and have already recommended her to several friends who are planning Disney vacations next year. Lisa R is an all-star DVP. She has been available at all hours and times to answer my every small question. She is the nicest and goes out of her way to think of any little thing to ensure we get the best Disney experience . She truly is a blessing to work with in every aspect of the planning process. She will do whatever it takes to ensure we are getting the best Disney deals. Thank you Lisa! -Summer Y. It was like having a Disney expert with us throughout the planning process. However, she doesn't work for Disney so she could give us unbiased opinions, help and assistance that truly made our trip amazing. Lisa R was so helpful to use while planning our vacation. I would have never known the deals that we could have gotten through Disney without her. She also made it so easy to travel in and out of Disney because she set up the Magical Express for us. We had our tickets when we arrived in Orlando and we didn't have to worry about lugging anything around. The night before we left our boarding passes and luggage tags were on our door ready for us to use. It was so simple. Our second trip booking with PAPD was even more amazing then our first trip (September 2011). We enjoyed spending quality time with our daughters (4 1/2 & 9 months) and got to experience some restaurants we never would have eaten at before if it weren't for the dining plan. Sarah H gave us important information about certain activities, such as the Jedi Training Academy at Hollywood Studios and the use of fast passes. We would not have been able to sign up for the Jedi Training Academy in time to get a spot if we had not known about it in advance. Lisa Reese was amazing every step of the way in planning and enjoying our magical Disney cruise. We love her and think she is the best! She made our vacation so special and one that we will remember forever. My daughter still says "just call Mrs. Lisa, she will know the answer." Sarah H was absolutely perfect. She answered my many, many emails promptly and effectively. She offered her professional and personal opinions as well, which reminded me that I was speaking with someone knowledgeable and trustworthy. 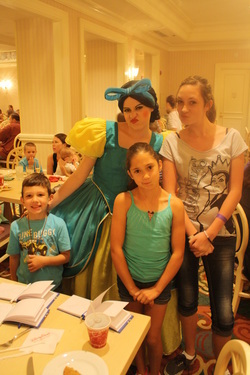 She was able to give advice on almost every question based on her own family's experiences at the Disney Parks. That type of personal service made me feel like I was talking to a family friend that I knew I could trust. 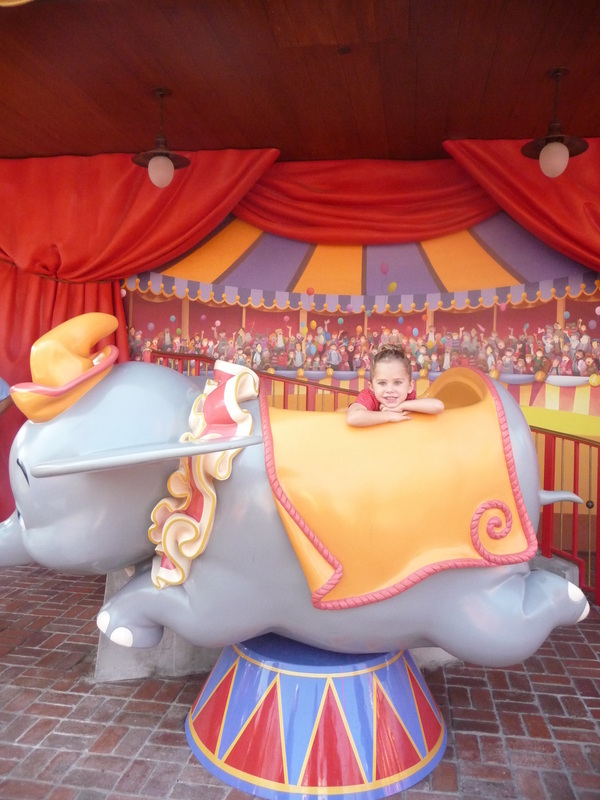 Since this was our first time staying on-site at Disney, her experience made me feel like there was nothing to worry about, no matter how complicated the process might have seemed. Everything went perfectly on our trip, in large part due to her help. I can't say enough good things! Laura B was our DVP. 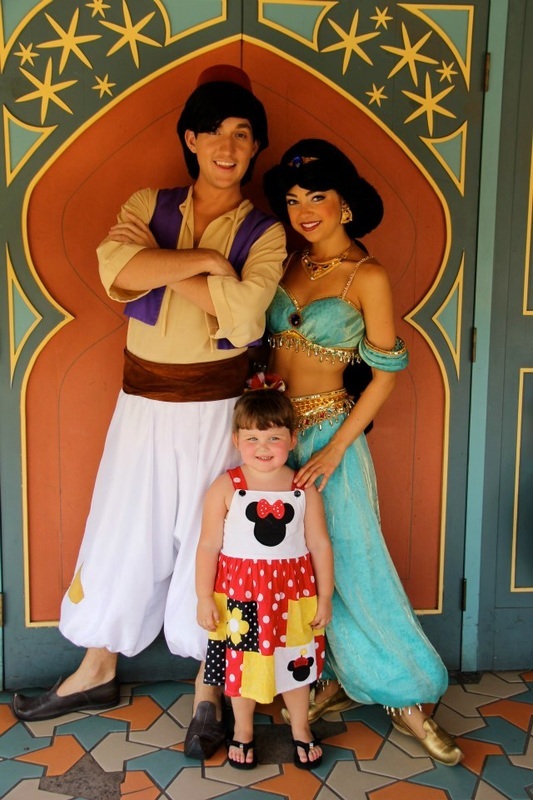 We told her what our dream Disney vacation was and she made all our dreams come true. We cannot say enough good things about her and her attention to detail. Once we got to the airport we were able to forget the world and just have a magical and fun experience. Thank you Laura, next to Tinkerbell you're my favorite Pixie. We had issues paying the deposit - unexpected car repairs required us to use the Disney deposit. Laura B helped by rebooking the trip so we could keep the reservation but gave us a few extra weeks to save the deposit again. She also made sure to keep in touch regarding any changes to park hours, activities in the parks and new rides etc. She was wonderful. She has either been with Pixie and Pirate for a long time or was well trained. Either way....I cannot speak highly enough about her. Laura Liden our DVP was excellent! She was very thorough and even worked "off the clock". She helped make our first Disney cruise and resort experience our BEST vacation EVER! Will definitely use PAPD to book the next one!! Sarah H was excellent! Her attention to detail was great and she anticipated our needs. She knew what our 5 year old granddaughter would like and guided us well. She even made a last minute change for us just a few days before we left - never complaining. I have already consulted with Sarah about our next Disney trip. 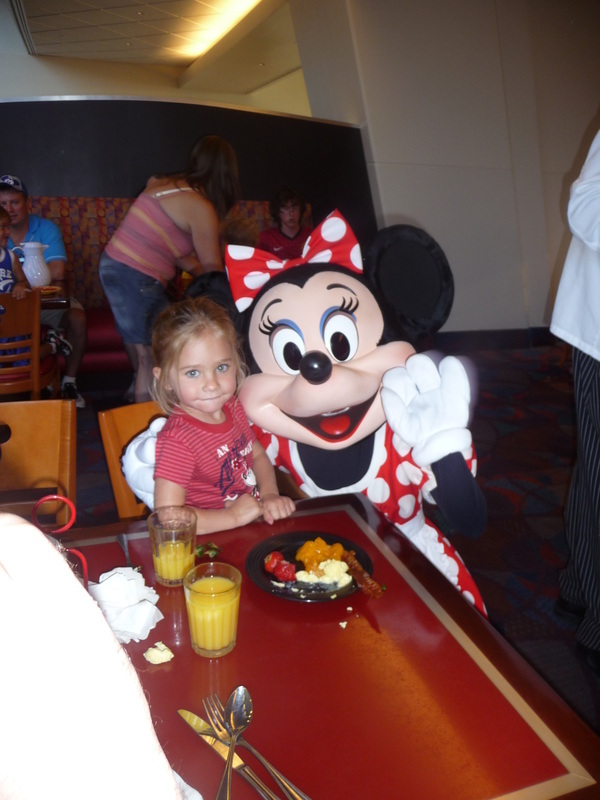 Our 5 year old granddaughter can't wait for her next Disney trip! Carrie D was absolutely amazing, we had previously booked through someone else and I found that I was not getting any help. Carrie was a breath of fresh air and I love that she gets so genuinely excited for her clients. You can tell she loves her job! She took care of everything for us and was there to answer every last question I had. Checking in to a bag of goodies was the icing on the cake, she really made us feel special. I can't thank her enough, we had an amazing Disney trip and I credit so much of that to her! Laura B was amazing in planning our vacation. I am a control freak so having a travel agent was not in my plan at first. However, I started to become so stressed over the details of our "Dream Vacation" that I decided to contact an agent. I contacted another agency and 2 days later I had no response. Then "Dad" recommended PAPD so I decided to see what would happen, well within hours I had my first email back, then a few hours later Laura B was emailing me for more info. From the start she was full of information and involved in my planning (even knowing that we may NOT book with her) In the end, when a promotion came out, I booked with Laura and was pleased to do so and even had my in-laws to do the same when at the last minute they also decided to go. Within the last month or so before our trip Laura had some personal issues arise, and I knew my time with her was up and I would have to deal with someone else - however, Laura called and emailed often ~ THAT is dedication!!!! We do plan to go back to Disney, hopefully next October, and Laura will be planning that trip also, now if I could just get her to go WITH us - that is the only way it would be better. 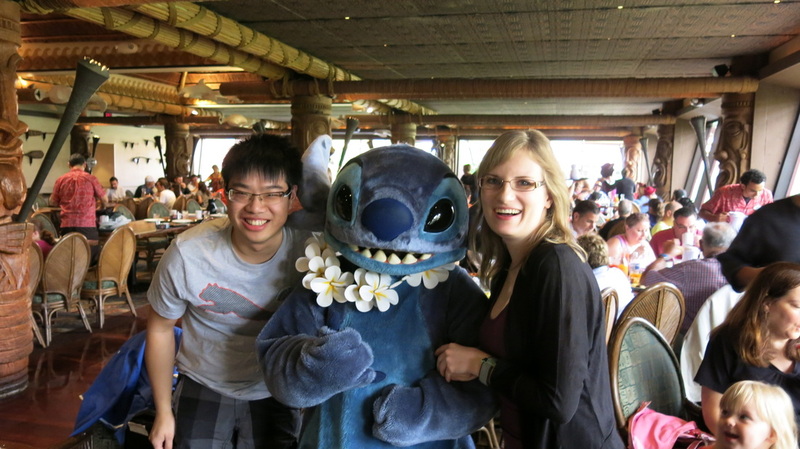 Laura was always very helpful, providing information on her own experiences at Disney as it related to our trip. She had great suggestions for us. She was always responsive and followed through on what she said she would. It was wonderful working with her. Laura B was always available for me whether it was by text, email or on the phone. She always had great advice for me, even things that I would not know even from previous trips. Laura B was absolutely great! Even though I have been to Disney 10+ times, I had never planned my own trip. She helped me get the dining reservations I wanted, and did the dirty work, every time I wanted to change something. Our trip went well, and was flawless. It definitely wouldn't have been without Laura. I wouldn't hesitate to use her again! Laura B. was amazing and thought of everything. She made sure everything was taken care of and had the answers to questions I didn't even know I had! This was our family's first trip to Walt Disney World. Lisa R really helped us plan our best vacation ever. Her advice was spot on for every part of our trip. 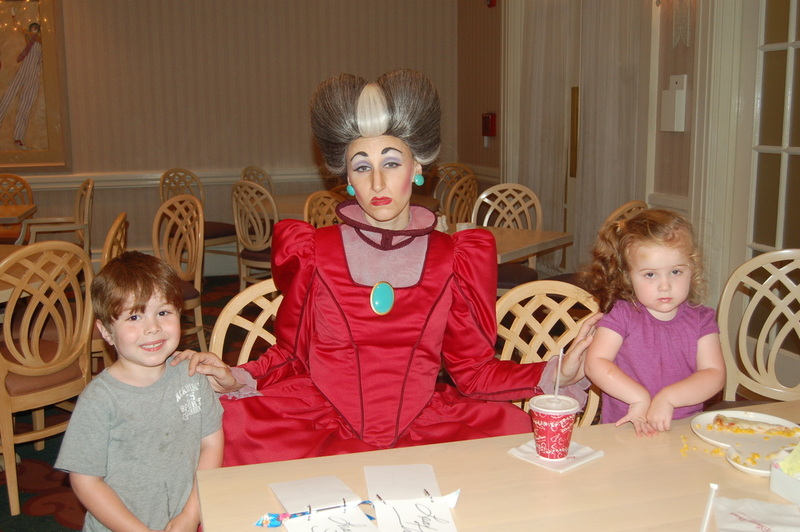 My children absolutely loved all of the character dining that she reserved for us. I can't wait for Lisa to help us plan our next WDW vacation. Lisa R is very knowledgeable and has helped me so much in planning my last 2 vacations. Will definitely be asking for her help again, hopefully soon. We had a great experience working with Laura Liden. She was very helpful. I even messaged her while at Disney for questions. :-) We will be contacting her for our next trip. Our agent, Sarah H, truly helped me plan the best vacation that our family has ever had together. Our suitcases weren't even in our house and I was already coordinating our next trip with her. Thanks again Sarah for everything...You truly made me look like Super Mom! I recommend my DVP to anyone who wants to plan a Disney vacation. She was great and helped me so much with the planning. I couldn't have done it without her. I met her at the right time. I loved that she was available any time of the day to answer any questions I would have. Lisa Reese is a superb planner. She goes above and beyond to ensure that we have the best trip to Disney World. She is even more than happy to wake up at 6am 180-days in advance to make sure we get the perfect dining reservation. That shows a lot of dedication! I feel as if Laura Beasley is the friend I haven't met yet. She is wonderful. I cannot say enough good things about her. I recommend her every chance I get. As a first time Disney World traveler (and anywhere traveler for that matter) I had tons of questions and concerns about a trip to Disney. My DVP, LISA REESE, answered every question I could possibly think of. She was so nice! She was always quick to return my calls and emails. She was extremely knowledgeable about ALL things Disney. I will definitely be planning my next Disney trip with Lisa. LISA REESE=AWESOME!!! Thank you Lisa! Our DVP Caitlyn Lynn was fantastic! She made our Disney planning experience smooth and stress-free. Not only was she excellent is arranging the details of our vacation, she was also extremely knowledgeable of the parks and was able to offer recommendations for dining, events, etc. I also greatly appreciated her enthusiasm for all things Disney and look forward to working with her on our next Disney vacation! Lisa R is the best vacation planner that anyone could ask for. She planned the most important vacation of our lives-our wedding and honeymoon trip to WDW. She worked with us to plan this for over a year. She did everything from pricing our vacation, to finding and re-finding discounts (she saved us over $400!!!! ), to educating us on the details, to helping us work out a convenient payment plan, to even booking some of our dining reservations, including our Welcome Dinner!! In addition, Lisa booked the vacations of several of our wedding guests and they were all happy and comfortable as well. Lisa is wonderful and we would never hesitate to use Lisa as our vacation planner in the future. Thank you Lisa! _Amanda S's communication is outstanding. 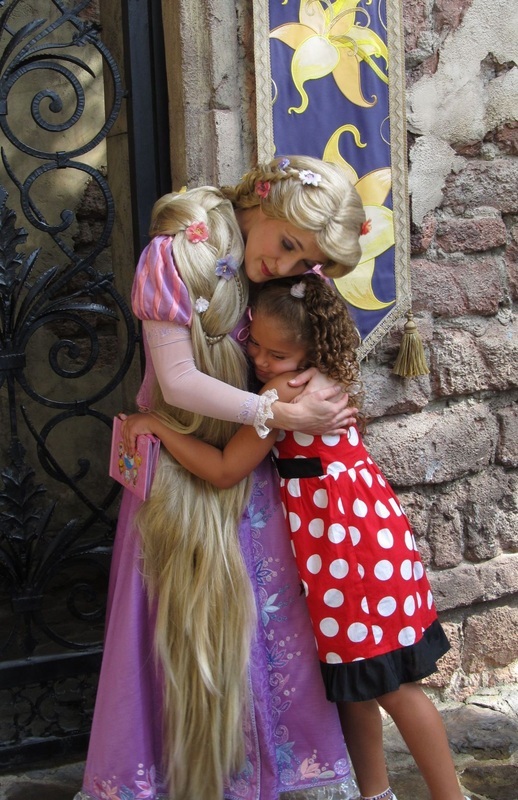 She is very passionate about traveling, and Disney, and really develops her relationships with her clients. She is amazing! The best part about booking with you is that making changes to our reservation was very easy and we made a lot of changes. Also, just having someone to talk to and get your opinion on how it was for your family. It's great to have someone who's been there and done that and can advise you in that area. This was a last minute decision to go and meet my daughter and family. Lisa R called me back at 9:30PM, booked adjoining rooms and answered all my questions. She is terrific! We worked with Lisa R and she was fantastic! We were doing a combined hotel/DVC stay and we booked the first part with her and she got us such a great deal on the room, tickets and dining plan. I had quite a few questions and requests since I was taking my 13 month old twins for the first time and she was always quick to answer all my questions. Thank you Lisa, You are awesome at what you do! Who knew a vacation experience could be so easy to plan! I was not overwhelmed like I would have been if I'd done it all by myself. Having a go-to person is an amazing help!! Christina R was awesome! I had several questions and she spent a lot of extra time with me. Emails were returned promptly! Overall a great experience and family vacation! Our DVP Amanda is knowledgeable and understanding, and my family and I were pleased to have her on our side. She answered all of my questions in a timely manner, and made me feel comfortable about traveling with a child with special needs. Amanda truly made our cruise a magical and peaceful one! We highly recommend using a DVP when planning your Disney vacation, especially if it is your first visit. Our DVP Laura B was wonderful and we would definitely book with her again on future trips. Everything was planned out perfectly and our trip was fabulous! Thanks so much Laura! If anyone is planning on going to Disney World in the future, Amanda S is the person to book with. You will not find anyone who knows so much about Disney as she does. She knows all the best restaurants and which parks to go to on which day. She can plan your whole vacation for you -all you have to do is tell her when you want to go and she will do all the legwork for you. I have been to Disney 2 times and both times I went with her and we had the best time. I had never been before and if were not for Amanda, I would have been so overwhelmed with everything to do but she made it relaxing and enjoyable. I can't say enough about Amanda and her knowledge. 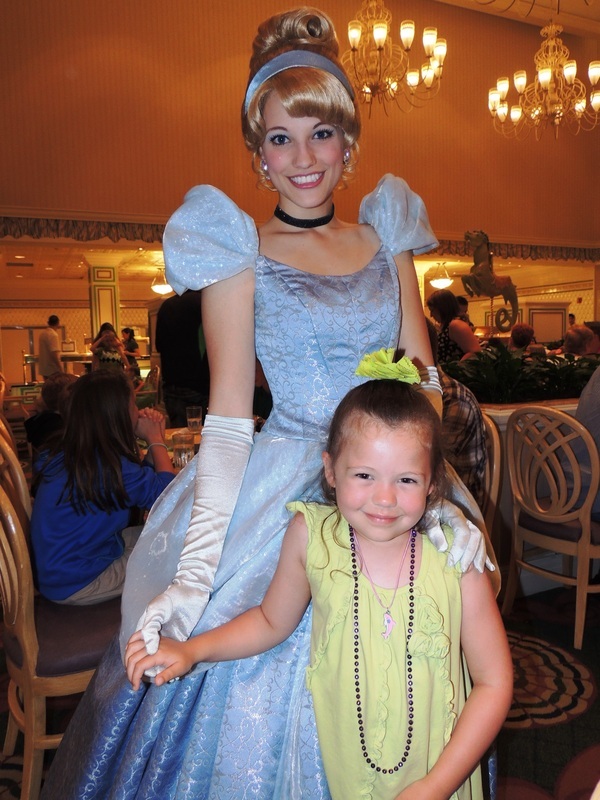 Leave your Disney vacation up to Amanda, you will not regret it!! Laura B was wonderful to work with in planning our vacation & even available to us while we were away. She is extremely knowledgeable & helpful. She made some excellent suggestions regarding our trip and where to spend more time based on our family's interests. She was perfect. Amanda responded to my questions in a very timely manner and with very detailed and experienced information. Having never been to Disney World we had no way of knowing where was best for our family to stay or eat, and her knowledge of the parks was very valuable. It was so great to have someone who had lots of experience with Disney available to answer all our questions! Amanda S helped me organize every last detail, and was willing to answer any and all questions. Her willingness to help me fine tune the details before and during (although I didn't need her during) was very re-assuring, and helped me relax and truly enjoy our Disney experience!! We had a wonderful vacation with the help of our "Pink Ear Pixie". She took all the stress out of planning the trip. From booking dates and making payments to making dinner reservations. We will definitely use her services again. I think Amanda S did a great job planning our Disney trip. She answered all my emails right away and I honestly can say I was very happy with her services. I will use her again next time we go, probably in about 3 years! My DVP, Amanda S, was absolutely fabulous. In the beginning she worked with me to change and change and change our plans to make them perfect. She gave advice, made sure I knew about necessary things, but also gave me the space my type A personality needed to plan own my own. I will never book through anyone else! Laura B was very helpful with deciding where to stay. (I could not have been happier thanks to her suggestion) She helped me decide where to dine and suggested things that the kids may like more than others. Overall it was a very easy and enjoyable process from beginning to end. It was our first family trip and my husband was not excited AT ALL that we were going to Disney. But ever since the plane landed he has been talking about going back!! 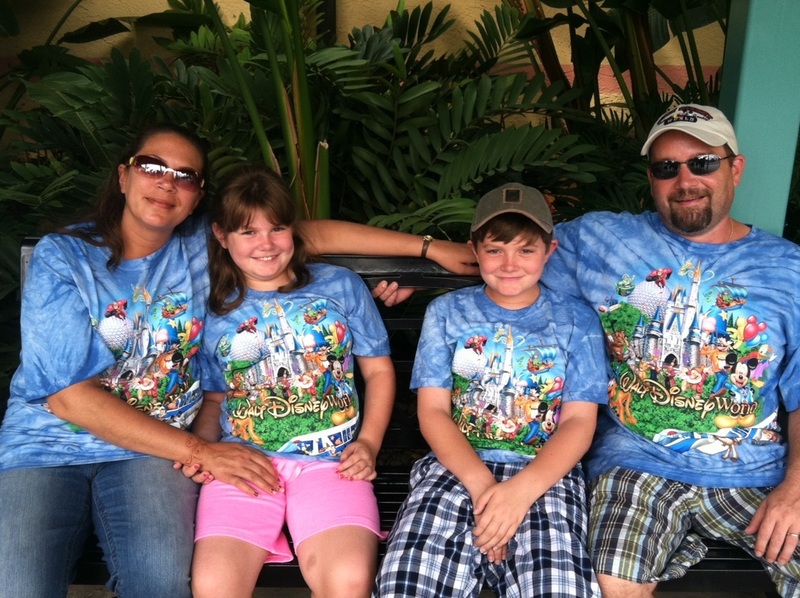 Amanda S helped make our family's first Walt Disney World vacation a wonderful experience. She spent lots of time answering all of our questions and easing any concerns. Always answered my calls and never rushed me on the phone. She shared her insights but I didn't feel talked into anything. I loved that she handled all of the making of reservations, deposits, etc. so that I didn't have to worry with making numerous phone calls/emails. I just told her what we wanted and she made sure it happened. It was great to just show up and enjoy our vacation! You will have no regrets working with Lisa Reese. She is wonderfully responsive, has a true passion for all things Disney and is so forthcoming with sharing her knowledge of how to make your trip even better. She gave us great ideas of how to use and maximize our Dining Plan and took care of us when Disney had a glitch in their reservation system resulting in our reservation not showing up. She's the best!!! 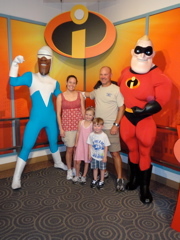 Amanda S was truly an asset in planning our first Disney family vacation. She was able to get us where we needed to be, when we needed to be there in all of the Disney theme parks, schedule our character meals and book other events we wished to attend, and make recommendations that were perfect for us. We would have been overwhelmed without her! She was always there online and by phone to answer every question. 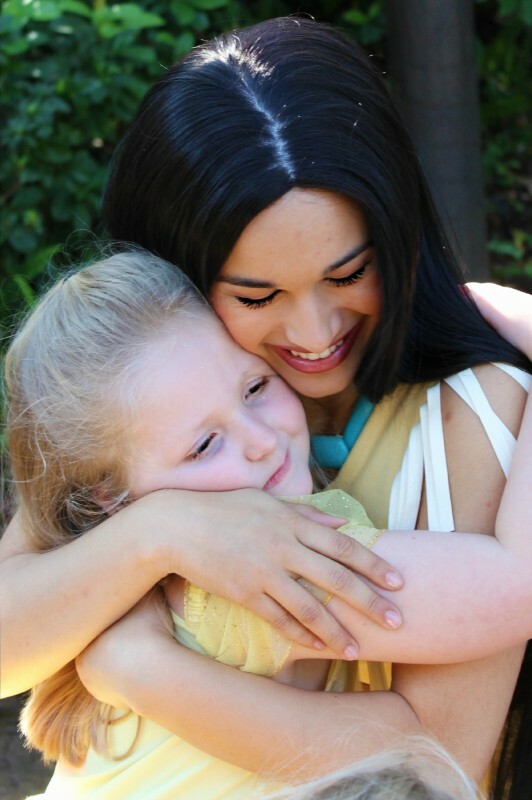 With her guidance, my children's Disney Dreams all came true and my family has forever memories! Working with Amanda S made the whole overwhelming process so much easier. Having been several times as an adult I didn't realize all there was for kids! Both my girls 4 and 5 we able to experience things I never knew that existed that Amanda knew all about!! 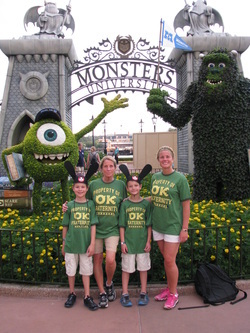 Lisa R made every step of planning our Disney Vacation a "dream come true". She did everything from help me get a great deal, to give me tips on touring and even made our dinning reservations. I couldn't have done it without her! This is my 5th vacation but my first with Pirate and Pixie Destinations. It was very helpful to have a knowledgeable person that could make changes for me and help with an upgrade when I was able to travel within the free dining plan dates. My DVP, Amanda S, was very timely with emails and spent a lot of phone time with the resort for me. Get started planning your NEXT ADVENTURE now! Request a quote!